A show as you never seen before. Spectacular. You will not be bored for even a short moment! The theater is built in a round arrangement to keep the audience intimate to the live performances from all possible ends. 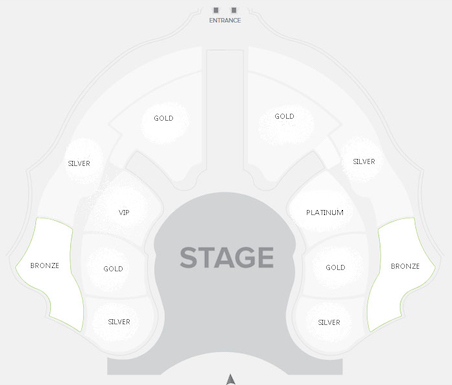 Choose your own seating, bronze, silver, gold or even VIP and get ready to be amazed. The La Perle by Dragone show is a live show that takes place in the art theater in Dubai. The stage in this theater is known for the gigantic pool that contains 2.7 million liters of water. Once you are in, you will be amazed to see the on-stage pool occupied by the audience in a circular orientation. Get ready for a great performance from many artists and special effects in a unique decor. Every minute new surprises awaits you and you don't know where to look so much is happening at the same time. One moment the podium is below water and next it's completely dry again. Spectacular stunts and a must do when you visit Dubai. Once you're in, you will enjoy this amazing show for 1.5-hour.